The History of Dalmuir R.O.F. is the history of any other war-time factory, it is the story of the workers' struggle against the forces of capitalism aided an abetted by the fakirs of the trade unions and the Communist Party. Faced with these odds it is creditable that the workers did not succumb entirely, and that a band of them continued in opposition and endeavoured to preserve some degree of sanity throughout the welter of lies, distortions and intrigue that surrounded the worker. Immediately before the war, the erection of Dalmuir R.O.F. was decreed by the government's rearmament policy, and the necessity of staggering armament factories throughout the country. Dalmuir, with access to the Clyde and a large number of trained engineers at hand was eminently suitable. The myth that the local M.P. and his Labour colleagues had prevailed on the government to relieve the distress on the Clydeside by permanently establishing the factory, has, however, been deliberately fostered in order to justify a particularly sterile career. This myth has haunted the factory, and explains much of its subsequent history. Many workers with memories of the misery, poverty, and degradation of the soul-destroying depression, believe that in the R.O.F. they find the four freedoms and a little extra. They hope to find security on a government-established oasis on the post-war economic desert. One cannot blame them too much for that, how could the worker tolerate the present social system if he did not have dreams of some day sharing in the graft. At the beginning better working conditions were given in Dalmuir than in any other Clydeside factory. Better piecework rates, and a glamorous bonus scheme was introduced. The worker, freed from the immediate threat of the dole and means test, had the prospect of steady employment, and willingly accepted the irksome and petty-fogging red tape of a government establishment. However, as the war progressed, the attitude of the worker changed. The fall of France, with the consequent speed up of production, entailing long hours, was followed by the severe Clydebank blitz. The irksome rules and regulations became increasingly intolerable, and a general demand was made for their removal. The rising temper of the workers finally consolidated itself around a struggle for the recognition of the Shop Stewards' Committee. Attempts by the management to lower standards and introduce conditions contrary to Clydeside practice, such as "doubling machines", were met with stiff opposition. The workers insisted on conducting their negotiations en mass, and after several weeks of confusion the management gave way and the Shop Stewards Committee was given official recognition. The struggle did not end there. Indignation ran high at the despotic manner in which the management treated their representatives and a demand was made for the removal of the management. Representations were made to the Ministry of War Production and it compromised by sending Lord Beaverbrook to arbitrate. Whether the suggestion emanated from this august personage, or from someone with a close connection with working-class conditions on the Clyde, who desired to ingratiate himself with his Lordship, has always been a matter of doubt. The arbitration ended as all arbitrations end, passed to the Lithgow group and WM. Beardmore & Sons were made agents of the Ministry of Supply. Everyone was satisfied with this diplomatic settlement, except the workers. The amount of graft involved was never disclosed, but the worker got the blows. A tremendous wave of feeling swept the factory, and the issue threatened to develop throughout Clydeside. Much as the workers detested the old R.O.F. management, the very name Lithgow was nauseous. Another factor, which gave impetus to the agitation, was provided by the section who saw in the loss of R.O.F. status the loss of economic security after the war. After protests and public demonstrations oil was poured on the troubled water by a few governmental promises, and the bribery of improved wages and conditions. It should be noted that this struggle was not a trade union struggle. The struggle arouse from certain specific demands by the worker, and was carried through by the worker on his own behalf. No worker was asked if he was union or non-union, skilled of unskilled. It was a spontaneous struggle by all on behalf of all. Until this time the members of the C.P. played their part in the struggle. Probably they were only following the C.P. line of obstructing the war effort. However, when Russia entered the war they immediately complied with the party's new directive to water down all militant struggle, and proceeded to sabotage all direct action. The members of the Shop Stewards' Committee took steps to ensure a majority vote, and within six months had control of the movement within the factory. They then proceeded to conduct a campaign for the adoption of official trade union methods and procedure. The workers became confused. They now saw their leaders giving an exhibition of political acrobatics. Some of them who had taken a prominent part in the earlier struggles now suggested that the struggle did not count. There was a touch of religious fervour in their gospel of trust your leader and everything will be all right. Their anxiety to outshine Bevin in patriotic zeal must have been the envy of the Primrose League. Like faithful subjects of the executive Committee, they gave their of the trend of events that revealed more wishful thinking that logic. The whole jingoist outfit of the party was paraded. Resolutions of the Second Front were proposed; absentee and Joint Production committees were formed; official T.U. policy was advocated; and deputations and telegrams were sent all over the place. They promulgated the idea that all the extra conditions that had been attained could be retained by trusting to the official T.U. machine, and it was implied that particularly onerous conditions imposed by the employing class could be removed by the mere passing of a resolution. The fact that the history of all working-class struggle is the story of militant effort and sacrifice was conveniently forgotten. These parasitical communists who pursued, and propagated amongst the workers, the idea of common interest with the employing class, despite any somersault they may take in future, will be remembered with disgust for the Judas part they played at this vital moment in working-class struggle. As the C.P. stewards became stronger they used open graft to increase their power. During the days of dilution it was tacitly understood that there was a better chance of promotion for any unskilled worker who stood well with 'the party'. This is typical of the method used to build and strengthen their organisation, and it was not surprising to see among their later recruits, many parasitical creatures prompted more by motives of self-interest than faith in the party policy. The C.P. progressed numerically, if not in quality, and by 1942 they had very little difficulty in leading the worker to imagine that he could emancipate himself by using the official T.U. machinery. The first attack came at the end of March 1943, with the proposal that the Saturday forenoon, which had become recognised as a rest day, should revert to a normal working half-day. For about a year the factory had worked a six day week of 66 hours. It is interesting to see how management manoeuvred for position. On pretended consideration for the heath and welfare of the worker Sunday work was stopped, and the hours of the remaining five working days 'relaxed' to 47 1/2 hours. This was backed by an alleged shortage of orders. A few weeks later at a Joint Production Committee meeting it was announced that a new order was coming and that owing to its extreme urgency it would be necessary to have it completed by a certain date. At last, the C.P. dream had come true, they were recognised consultants of the engineering magnates. More working hours would be necessary, but the management was not agreeable to have the five day week increased to 52 1/2 hours. No, that would be paying an extra five hours overtime, what they suggested was that the workers should concede their Saturday morning rest day. At a mass meeting of the workers which followed these manoeuvres, the 'party' leaders solemnly assured the workers that they would resist any attempt to remove this hard-won condition. This attack could have been resisted and the condition retained on the grounds of recognised practice which could not be altered without mutual agreement between workers and employers, but the position was shamefully sold-out. The factory management were under pressure from the Clydeside employers who were faced with demands from their workers for a Saturday rest day, and the shop stewards were presented with an ultimatum - Concede the rest of the day, or lose the order. In their dilemma the stewards turned the fount of all wisdom and a 'party directive' was received. Corrected and braced to face the position they called a mass meeting of the workers, and in the most bare-faced manner advocated the giving up of the Saturday rest day. Sufficient to say of this sorry episode, that the workers were finally dragooned into submission by threats of closing the factory if the order was lost. It will doubtless be recorded in the annals of the Communist Party how the Dalmuir C.P. Stewards saved Russia and her allies from catastrophe in the Second World War, and made Dalmuir R.O.F. a factory fit for the C.P. 'ers to work in. To share in the glory was too much for several of the leading stewards, and they quickly broke off their connection with the 'Party'. They had had enough. What afterwards became known as the 'Split in the Shop Stewards Committee', was not altogether a sudden decision of a number of members. Although the crisis came with the Saturday sell-out, the more advanced and class-conscious section had for a long time been chafing at the bonds which held them to a policy which was a contradiction of all of their early experience. Particularly they could not agree that Fascism could be destroyed without first destroying capitalism its creator. Gradually they began to sense the reactionary design of the party. Honestly impelled them to examine their position and soon they found that they had unwittingly supporting an organisation which was fascist in concept and counter-revolutionary in practice. It only required the exposure contained on the Saturday 'sell-out', to convince them of the dictatorial foundation of the party and effect the break. Only when the effects of the opiate had diminished did these shop stewards fully realise the amount of damage that had been done. The confusion, and even worse, the apathy of the workers appalled them. Could anything be done to retrieve or rectify the mistakes that had been made? What were the mistakes? Contacting the shop stewards who were not attached to the party, and other militant workers these questions were discussed. From the discussion a little clarity emerged. It was recognised that the worker cannot be freed by any other than his own efforts, and that the delegation of his natural rights and power to a leader was the primary mistake that led to his enslavement. Out of this discussion came the Opposition with the avowed purpose of opposing C.P. machinations by exposure and propaganda, and endeavouring by means of explanatory leaflets to enlighten the worker and bring him to a realisation of his pathetic and dangerous situation. Each member of the Opposition said with Michael Bakounin "I, who wish to be free, cannot be so, because around me are men who do not yet desire freedom, and not, desiring it, become, as opposed to me, the instruments of my oppression." The Oppositions's first essay in print was an exposure of the infamous Stoll Conference Resolution. This conference sponsored by the Communist Party under the guise of the Shop Stewards National Council was held in the Stoll Theatre, London, on 12th March, 1944. The S.S.N.C. despite its pretentious title and claim to represent the Engineering, Shipbuilding and Allied Trades, is a rather pathetic attempt on moth-eaten 'Red Union' lines to sap the strength and virility of the Shop Stewards Movement, and bore into the Trade Union machine. As in all C.P. conferences each delegate is a member of, or friendly towards, the party, and the agenda, speeches and resolutions are all censored, arranged and approved by C.P. officials long before the meeting is held. The resolution on this occasion was designated by the Opposition in their leaflet as "perhaps the most vole sell-out of the workers ever attempted in the annals of British Labour." In their analysis of the resolution, the Opposition exposed the treachery of the S.S.N.C. It pointed out that the workers were being asked to extend and intensify the training of women and youths so that skilled men could be released for the armed forces. It also stated that "with redundancy and unemployment growing more prevalent, the transfers could only lead to the complete destruction of conditions obtained by generations of struggle". Attention was drawn to the section which demanded that the E.W.O. should be amended and strengthened. This demand revealed that the E.W.O. was a slave measure aimed at himself. In another section it was demanded that factory conveners and authorised shop stewards should be releases only after consultation between Managements and T.U. officials, and on this subject it was pointed out that the worker was entitled to ask the people who wanted him to hurry from the factory to the front what right they had to special privileges. It was also shown that the pledge to support a hypothetical campaign on behalf of soldiers pay and allowances committed the sponsors to nothing. The C.P. controlled shop stewards committee at Dalmuir attempted to get the workers to accept this resolution at a mass meeting held on March 31st and they were overwhelmingly defeated. The temper of the workers at that meeting was roused to such an extent that they feared to bring another item on the agenda forward for discussion, namely the disaffiliation from the R.O.F. Consultative Committee. The meeting adjourned, and the chairman promised that a continuation would be held at an early date. This victory for the workers was the first reverse the C.P. had received since the opening of the factory, and the Opposition came in for considerable abuse. They were termed Disruptors, Fascists, Hitler's agents and trotskyists, and to clear the air and urge workers to consolidate their victory, the Opposition issued another leaflet which explained the nature and position of the Opposition. It was pointed out that they did not ask the workers for anything other than a fair consideration of the matter which they placed before the workers. They did not seek power for themselves, but would be quite satisfied if the workers acted in their own way in their own interests. The leaflet also gave a description of the formation and history of the R.O.F. Consultative Committee. The formation if the R.O.F Consultative Committee arose primarily from the transfer of the Dalmuir factory in August, 1941. The initiative for the calling of the first meeting rested with the Dalmuir factory in August, 1941. This committee whose first meeting embraced twelve factories, was instrumental in bringing together the shop stewards committees of most government factories, and showed a most militant working class trend. The Communist Party recognised the potential threat to their policy of collaboration with the employing class, which was embodied in the R.O.F.C.C., and proceeded to intrigue to gain control of the movement. Failing in their attempts, they then endeavoured to sabotage the work of the committee from outside. The intrigues of the C.P. controlled shop stewards committee of Dalmuir were carefully hidden from the workers, and when they came out into the open in February 1944, and disaffiliated from the Consultative Committee, they tried to assure the workers that everything was in order, and that the factory had been disaffiliated from November, 1942. The Opposition issued a leaflet which amongst other things, contained these facts. Up until September, 1942, the Communist Party attempted to gain control of the R.O.F. Consultative Committee. These attempts to gain control of the R.O.F. Consultative Committee. These attempts became so flagrant that the Nottingham R.O.F, Works Committee unanimously passed the following resolution: "That this Committee vigorously protests against the interference of any political body in our strictly constitutional Trade Union affairs." Following this defeat, the C.P. changed its tactics, and attempted to use its control of the Dalmuir R.O.F Shop Stewards to smash the Consultative Committee. On the instructions of Peter Kerrigan, a member of the Central Committee of the C.P., the two R.O.F Stewards attended the Consultative Committee conference at Leeds, in November, 1942, with definite instructions to seize some pretext to break with the other R.O.F. factories. It may be added that these two delegates attended the conference without consulting Dalmuir Shop Stewards Committee of the factory workers, and a trick was played by the C.P. Stewards to have the Committee accept their report on their return. Because the position was untenable, as far as protecting Dalmuir R.O.F. conditions were concerned, the shop stewards were forced to re-affiliate to the Consultative Committee in February 1943. Another two delegates were appointed to attend the consultative Committee meeting in March, 1943, with instructions to pay all dues from November, 1941, up to and including March, 1943. It will be noted that Dalmuir R.O.F. was thus affiliated to the R.O.F Consultative Committee until the disaffiliation in February, 1944. This disaffiliation was managed by the Communist Party, and the resolution was carried at a meeting of the shop committee only through the acting vote of the convenor, who as Party member had to obey the directions of the Party Leaders. In the controversy which raged throughout the factory, the C.P. members endeavoured to justify this action be declaring that the R.O.F.C.C was 'trotskyite' and 'anti-war'. They did not know that in a very short time, a matter of weeks, they would be calling upon the chairman of the committee to come to Nottingham to help them out of a very sorry predicament. Four months elapsed after the Stoll Conference fiasco. The workers continued to press for the resumption of the mass meeting to discuss the question of re-affiliation with the R.O.F.C.C., but the C.P. stewards who were in a majority on the shop stewards committee avoided the issue. Finding the workers insistent, however, they planned and manoeuvred the type of meeting suitable to their particular policy. A 'mass meeting' was staged in the works canteen on Friday, 11th August, 1944, and the motion to disaffiliate from the Consultative Committee was accepted by workers who attended. The poor attendance was arranged. The meeting by show of 'pence-cards' excluded sections of the workers who had not been admitted into the union; members over eight weeks in arrears; members who forgot their cards; the large number who for one reason or another left their cards in their branches; and the large number who did not attend because of their utter disgust at the arrogant manner in which the meeting had been 'framed'. By refusing to take a part in the fraudulent 'mass meeting', the workers carried a resolution of condemnation that should have prevented the C.P. stewards from ever claiming to represent the factory. In the earlier leaflet the Opposition warned the workers that the C.P. were attempting to isolate Dalmuir R.O.F. in order to destroy it, that is, destroy the workers organisation and sap the workers strength. The truth of this assertion was evident in the serious situation in which the factory now stood. Isolated from the R.O.F. and Beardmore groups, it stood alone to face the onslaughts of the employers, but not satisfied with isolating the factory it was clear that the C.P. policy demanded that the workers should be divided amongst themselves within the factory. The strategy is not new. It has been employed by governments, by managements, and by any group that ever had designs on freedom and liberty of the worker. But the policy of dividing the worker in the name of trade unionism was utterly base. The treachery of the idea was in keeping with the international reputation of the party that conceived it. The design of the meeting demonstrated the intention of the C.P. bosses to split the workers of the factory into factions. Dilutees against skilled men, labourers and slingers against both, and the Communist Party holding the balance of power. Shortly after the ground work had been laid for them the employers began their offensive against the Dalmuir workers. After a few weeks of demoralising rumours and wild speculation, it was announced that the factory was to revert to R.O.F. status. Simultaneously with this announcement came the Man-power Board, who declared that there was redundancy in the factory and announced their intention of transferring 75 workers. One of the most abused words of the current English is the word "redundancy", and as its use and misuse is causing terrible confusion, even amongst those who should know better, and effort to define its meaning may be appreciated. The dictionary states that redundancy is the quality of being superfluous, and the word superfluous is defined as meaning, more than enough, unnecessary of useless. That being so, it is clear that when one is told that there is growing redundancy in a factory it means simply that a growing number of workers in that factory are becoming unnecessary or useless to the employer. Once upon a time this state of affairs would have been called unemployment, and while the workers who have as yet has no threat to their livelihood may not appreciate the full meaning of redundancy, the others who have come under the edict of national service officer, or manpower board are faced with the stark reality, and see quite clearly the approach of the dread satellite of competitive capitalism. Unemployment no matter how it is disguised under unfamiliar terms, holds still the same threat to the existence and welfare of the working class, and though it meantime may serve the purpose of the employers to conceal its growth, and confuse the workers with talk of 'transference of labour", 'changes to peace-time industry', and other fine phrases, it is obvious that the worker will be asked to face up to the problem in the very near future. Unemployment cannot be separated from the present system of exploitation, and this fact is admitted by the government and all the leading industrialists. In their much publicised plans for peace-time in Britain they have endeavoured to lull the worker into a sense of false security. They have tried to reassure the worker that even although he does lose his job they still have his welfare at heart. Carefully and persistently they are trying to create the impression that a reformed an benevolent state will see to it that the pill of unemployment is not as bitter as it was on the last occasion. It is significant that no spokesman of the government or any other authority has ever suggested that unemployment can be divorced from the system. Indeed it cannot. Unemployment will be removed only when capitalism is removed. Post-war planning is not confined to schemes of social security for the workers. British industrialists who, since the beginning of the warm have lost markets in Canada, South America, Australia, the Far East, and elsewhere, are much more concerned in planning to enter the post-war period on a competitive basis with their allies America and Russia. They are alarmed not only at outspoken statements of American business men with designs on European markets, but at the steps that have already been taken to acquire these markets. Their natural reaction to this aggressive policy of their rivals is to attack the wages and conditions of the British workers, and attempt to smash these conditions. Whether this plan will be successful has yet to be decided, but the fact to be remembered is that the attempt to carry this out is now being made. In a large number of factories throughout the country there is increasing 'redundancy'. It is claimed that this is a natural sequence in the progressive change-over to peace-time production, and to make it appear more plausible the man-power boards, in connivance with industrialists and T.U. officials, have adopted a merry-go-round of transfers. It is quite common, as is the case of the transfers from Dalmuir R.O.F. to Linwood, that the transfers are to much lower conditions, and to places where there is even greater scarcity of work. The Sunday Post, October 22nd, 1944 reports: "War workers dismissed from Clyde establishments complain that on reference to the Ministry of Labour and National Service for new appointments they were sent to workshops and factories in which there were no vacancies. Some men had to make a futile journey from Glasgow to Johnstone at their own expense". It is also observed that the first transfers from a factory are usually classified as skilled men, and they are selected if they are if military age, because the threat of being called up for military service reduces any possible resistance. The selection of skilled men is no accident, and is, indeed, one of the most subtle moves of the game. Amongst the uninformed rank and file of the workers it creates, and is designed to create, antagonism between skilled men and dilutees. This antagonism serves the dual purpose of diverting the minds of the workers from the real issue at stake, and by dividing the, weakens them for future attacks. The question of dilutees against skilled men threatens to split the ranks of the workers at a time when solidarity is of the utmost importance. It is argued that dilutees should go out of the engineering industry, but it is forgotten that owing to the conscription of labour laws, a dilutee removed from an engineering factory still continues to be registered as an engineer. No doubt many dilutees would be only too happy to return to their own trades, but officialdom has the last word and the dilutee would be directed to another engineering factory, where, nursing his grievance, he becomes a potential enemy of tradesmen and workshop organisation. The transfer of dilutees from one factory to another will not solve the problem. The workers must realise that redundancy is not the fault of the skilled man, nor of the dilutee and that an attack on one section against another will not cure it. The distinction between two sections is simply one of economic circumstances over which they have no control. But like the colour bar, and certain religious differences, it is being exploited by the employers for their own ends. The employer and the worker have nothing in common. In their policy of setting one group of workers against another, the employers are relying to a great extent on the reactionary activities of the Trade Union leaders. As complete collaborators with the government, since the beginning of the war they have done everything in their power to keep the workers submissive. On the plea of shortage of labour, and the necessity of supporting the war effort, they have welcomed the conscription of labour, and other anti-working class legislation. To-day when there is every prospect of an allied victory, and the certainty of mass unemployment, they continue to justify these impositions and claim that it will be necessary to retain them after the war. The treachery of this policy is too evident to require comment. The workers must become aware, that as a preliminary step, the that compels men, women and children to remain in work for which they have no inclination, and permits their forced transfer from one part of the country to another, must be removed. It is only with the removal of these slave laws that many of the glaring anomalies in industry will be removed. The basic rights of life and liberty must be secured to every individual. Anyone with the slightest pretension to socialistic beliefs must admit equality on the basis of live and let live, and advocate equality of sacrifice. The essential unity of working class interests must not be forgotten. It is not the unskilled man who is exploited, it is not the dilutee who is exploited, it is is worker who is exploited. And it is by the workers, solidly united, that exploitation must be faced and defeated. The shop stewards who met the Man-power Board demurred, and on the grounds that the management of the factory was being changed, claimed that in the transitional period when there was no management to oppose transfers, the transfers should be held over until the new management was installed. The Man-power Board replied that as far as they were concerned they were not interested or aware if any change in the management, and in arbitrary manner declared that they had no intention of discussing the matter. The decision had been taken and the duty was simply one of announcing what had to take place. In their dilemma, the shop stewards ran hither an thither seeking someone in authority with whom to discuss the matter. The old Beardsmore management stated that they had nothing further to do with the affairs of the factory, and there was no signs of the appearance of the new R.O.F. Management. They attempted to get in touch with Sir A. Duncan and were informed that he was spending a holiday at some place unknown. They contacted Mr D. Kirkwood M.P., various Trade Union officials, and explored all the known and some unknown channels. Eventually, after much quibbling, about union pence-cards, the shop stewards called a mass meeting. It was ruled that admission be by pence-card, but as the announcements were chalked out by some persons or persons unknown, and some confusion existed among the workers regarding the matter, the rule was not rigidly enforced. Nevertheless the attendance was not really representative of the whole factory. At the meeting the said state of the factory was explained, and although there was much talk of exploring every Trade Union channel it was more than evident that the fight to retain the workers on the transfer list was a “phoney” one. The previous publication of the names of the workers on the transfer list served the purpose of dividing the workers into interested and disinterested groups, and the announcement that if the men concerned did not want to be transferred they would be drafted into the army, completed the demoralisation. A small section of the workers seemed prepared to adopt some measure of direct action but this move was sabotaged by the affected men themselves. A large percentage, owing to the army threat, were not even prepared to sign an appeal form against their transfer. The shop stewards were bankrupt of ideas, and they had no recommendation to make other than to continue contacting supposedly influential people and public bodies. The disheartened workers broke up to await the deportations. It can be seen from this trend if events, that the Communist Party still dominated factory policy despite their defeat at the mass meeting of 31st March, 1944. By their collaboration with the employing class they tied themselves to a policy of acquiescence in the face of any attack. Examine the preparation and ground work that had to be done before the workers could be made submissive enough to accept the transfers. All contacts with other factories with policies of a militant nature were broken. 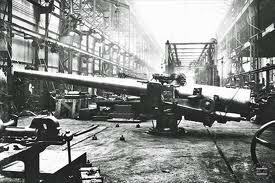 They refused to establish contact with Dalmuir's natural allies, the other Royal Ordnance Factories. It is easy to realise, that Dalmuir's only chance of retaining the extra conditions obtained during the period with the R.O.F. Management, was to go forward jointly, and demand like condition's in all R.O.F.'s. The C.P. therefore violated the cardinal working class principle of unity with their brethren. The C.P. Leadership stands indicted for this sorry state of affairs. If they had been concerned with the unity and strength of the workers, instead of unrealistic party policy, the Dalmuir workers would have been in a position to defend their conditions. The workers through much struggle and sacrifice built up a strong shop stewards movement, and because of this the shop stewards of the factory were able to obtain favourable conditions for the workers. The job of wringing concessions from the employer began to appear so easy that it was forgotten that it was the might of the worker that the employer feared. The workers were lulled to sleep and while they slept, the power they wielded was usurped by the C.P. They awoke to find their own factory movement in the hands of unscrupulous politicians. Until Russia entered the war the C.P. followed an adventuristic policy. Overnight they performed a somersault and came out with the policy of collaboration with the employing class and peace in industry at any price. They linked themselves with the policy of the employing class, their lackeys the Trade Union leaders, and the Labour leaders. The C.P. has become the most deadly of these reactionary forces because while all the others had been recognised, the full reaction of the C.P. had still to be realised. It is unfortunate that the workers who were temporarily dazzled by the blandishments if the C.P. had to learn the disastrous results of the C.P. policy, the hard way. On Friday, 3rd November, a meeting of day-shift workers was held in the Factory Canteen, and arrangements were made for a meeting of the night-shift workers later in the evening. The meetings were held in agreement with the management with the object of bringing Official Trade Union pressure on recalcitrant workers. Although they were visibly affected by the cold reception of the workers, the deputation by means of impressive lateness, and imposing pile of papers, a deliberate manner, and pompous address, endeavoured to create an awe-stricken atmosphere. Mr. Harrison, chairman of the Ministry of Supply Joint Industrial Council, presided, and was assiduously assisted by Bro. Nesbit, C.P. convenor of the factory. They were supported on the platform by representatives of other trade unions, including Mr. Maloney of the Executive Council of the A.E.U. Mr. Harrison, in the course of the address, referred to the serious situation which confronted the workers, and expressed his regret that it was his duty to inform the workers of the new conditions under which they would be compelled to work, when the R.O.F. management took over in the 18th November. These conditions were not subject to negotiation.. They were the decision of the M.O.S. whose ruling authority was the Treasury. He stressed that as a body that they has never asked to negotiate, was no possibility of appealing against the decision, or in any way altering or amending it. The Treasury was the final word. As a body they could offer no alternative but acceptance. The workers would receive notice of discharge, if they did not like the new conditions they could take their release. There was no possibility of appealing against the decision, or in any way altering or amending it. The Treasury was the final word. As a body they could offer no alternative but acceptance. The workers would receive notice of discharge, if they did not like the new conditions they could take their release. Regarding the new conditions, the bonus system at present in force in the factory would be discontinued. This was a matter of regret. (The bonus system was unique, as it included all unproductive workers in the factory. There was nothing like it in any other factory. Its discontinuance meant that there would be a wholesale reduction of wages from 52/6 to 7/-per week, according to classification). He read a list of the grades effected. Mr Maloney, A.E.U., added to his condolement. Although he was not personally effected, he could understand the the workers feelings. It was his first visit to the factory, and it would have been much more pleasant if it had been his duty to announce an all-round increase of ten shillings. However, it was his duty to announce the conditions as intimated by Mr Harrison. He could add little to what had already been said. He could only state these conditions in a different way. Up until that morning he had hoped that the bonus system would be retained, but his interview with the management proved that this would be impossible. The decision was made by the Treasury and could not be altered. They were faced with an irrevocable decision. The meeting was then open for questions. No discussion was allowed and it was pointed out that no decision could be taken as it was not a full mass meeting of the workers of the factory. A question regarding the retention of personnel, and the new working hours was answered by the chairman. He admitted that he had avoided referring these matters as he did not want to confuse the issue before them. However, since the question was raised he would deal with it. Regarding redundancy, there were 400 to 600 passengers in the factory. These were surplus to factory requirements and would have to go. He enumerated the reductions that would be necessary. And stated that these reductions would be offset, but not to a great extent, by the proposed new working hours. There would have to be two shifts of 47 hours. One hour on each shift would be allowed for meals, and an additional allowance of 10 minutes would be granted to women workers on the night-shift. The women workers, in the meantime, would continue to have the same rates as at present in force, namely the same rates as male employees. The tea breaks would be abolished. A question was asked as to the use, by the representatives of what claimed to be one of the most powerful unions in the country, of the word irrevocable. The chairman contradicted all that had previously been said stating that the word was used to mean that the decision of the Treasury was irrevocable, from the the managements' point of view, not from their point of view. A worker stated that if this dictation was an example of what we were fighting for, we were fighting in vain. The chairman declared that the workers were responsible for the kind of government that they now had, and were therefore responsible for the Treasury. Shouts of disagreement greeted this nonsense. Another workers suggested that they could open negotiations with the Treasury. In answer, Mr. Maloney said that he could take the suggestion to his Executive, but he could not, and would be failing in his duty to the workers if he did, hold out any hope of success. Another worker asked if it was the case, that the organisation which the workers had laboriously built up to defend their wages and conditions, had now come to them to admit failure, that in fact, they could do nothing for the workers. A number of admission "That is so". "That is the position". "That is the case", came in chorus from the platform. A worker rising in the middle of the hall stated that in 37 years of working class struggle he could not recall such a vile sell-out of the worker as he was now witnessing. The chairman jumped to his feet to deny the accusation, and after a poor attempt at justification he concluded lamely "we have nothing to sell." (Needless to say the worker agreed with him). Like the Communist Shop Stewards of the factory, the T.U. leaders found themselves with nothing left to sell. (Consummatum est, or if you gentle readers were too busy working to study Latin, the dirty work is completed). At the beginning of the last war, the Trade Union leaders sold out to the employers in much the same manner as they did at the beginning of the present war. At that time there was no Communist Party in existence, and without these organised confusionists in the ranks of the militant workers, the problem of counteracting this was presented in a much more simple form. The Trade Union quislings, them as now, told the workers that there must be peace in industry at any price, and that Trade Union procedure must be followed. The workers' answer was the Shop Stewards Committees. These committees were prepared to work on unofficial lines if necessary, and the result was that the workers ended the last war with a much stronger organisation than they had at the beginning. The committees were bases on the factories, at the point of production, and their job was to fight the day to day struggle of the workers, but above everything else the Shop Stewards Movement was a revolt against the rotten officialdom that existed within the trade unions. In 1923, the employers became aware of the growing strength of the workers, due to the spread of the new movement, and as a consequence, the Engineers were locked out by the employers, for three months, on the question of managerial functions. In that lock-out the Engineers were defeated, and the infamous York Memo, or Procedure for Negotiating, was imposed on the workers. The Trade Union officials were quick to take advantage of the opportunity, and the Shop Stewards became recognised trade union officials with a defined procedure to follow. For the duties of office the Stewards were paid 3?- per quarter. This sum has now been raised to 6/6d. per quarter. The York Memo was regarded by the engineers, as the whole Trade Union movement now regards to the Trades Dispute Act of 1927. It was imposed on the engineers in their hour of defeat, and at that time, they determined to get rid of it at the first favourable opportunity. Despite all the attempts by the employers and Trade Union leaders, to transform their activities into the negotiating committees desired, the Shop Stewards Committees continued their work and have been at the forefront of all the struggles of the workers. In these struggles the workers have been wholeheartedly behind their shop stewards, because they have learned what negotiating machinery means. They have witnessed in what manner their grievances have been dealt with by the employer and Trade Union leader, when they set out to go through Trade Union channels. Many months, and even years, of talk and nothing done. measures. Who was it that accepted the anti-working class legislation which led to the conscription of labour? Who assisted the government to exploit the worker by accepting their faked cost of living figures in relation to wages? Who watched the real wages and health of the worker suffer by the introduction of ad-altered food and shoddy clothing? Who runs with the hare and hunts with the hounds, and who to-day joins loudest in the chorus of the pack by imputing war guilt to the German working class? Who does not know the answers? Facts speak for themselves, and it is true to say, that to-day when any shop stewards advise the workers to follow trade union procedure, they are saying one of three things: they cannot do anything, they intend to do nothing, or they intend to betray the workers. There is a dualism inside the unions, the official side and the Shop Stewards movement. The function of the official side is to try to curb and discipline its rival. The Communist Party, while recognising their affinity with the official side, see in the trade unions a weapon extremely suited to their pro-Russian policy. They are not interested in the British working class when they advocate official T.U. procedure. Party loyalty comes first. They know that official channels will lead the worker nowhere, and will curb his instinct to fight, but peace in industry at any price, and everything subservient to the war effort are the Party slogans. As the function of the Trade Union is to accept, under disguise of agreements, conditions essential to the well-being of the employing class, these conditions, or Trade Union Agreements, can only lead to the perpetuation of the misery and degradation of the working class. The growth of British Trade Unionism can be traced back to the struggles of the Tolpuddle Martyrs in 1832, for the rights of combination and association, but the glamour of its origin should not blind us to what it has become. Trade Unionism could, and did, win advantages in wages and conditions during the growth and expansion of the Capitalist System, but because of its structure as a reformist organisation, it cannot operate today. The capitalist system is no longer capable of giving reforms. The present capitalist system of society has ceased to expand, and the various groups of capitalists throughout the world, are forced into wars of annihilation against each other in the attempt to keep the capitalist system in being. Under these circumstances the trade union leaders can come to the workers only to announce further reductions in working conditions. We can look for many more Dalmuir episodes in the near future, when the whole weight of the Trade Union machine will be used to force the workers to accept reductions in wages and conditions. Trade Unionism has become a weapon turned against the workers. The trade union officials have become the lackeys of the employing class, and they have a job to perform for their masters. Under the international fascism which is being planned the workers must be turned into robots. It is the job of the T.U. officials to mobilise the workers in industry as the officer class operates in the army. Recognition of these facts is the beginning of wisdom. The Shop Stewards Movement must be rescued from the Trade Unions. It has become frozen in its development, because of its defeats suffered following the 1914-1918 war. In that period, the workers failed to transform their struggles into revolutionary channels. They listened to the siren voice of the reformists, and they now suffer the consequences of that mistake. The working class must recognise that mistake, and organising at the point of production, irrespective of craft or creed, must jealously guard and retain control of their own organisation. The Labour Party, Communist Party, or any other political group that attempt to control the movement must be recognised for the knaves and charlatans that they undoubtedly are. As the movement becomes a movement of the workers themselves, the workers will become conscious of their historic revolutionary role. Prepared to fight for themselves, and scorning the cowardly device of handing over their power to leaders, the working class will eventually pass from its nightmare of confusion. They will realise that the only solution is for the workers to take control of the tools of production. If there is to be a rejuvenation of mankind this task must be done. Let us rely on our own strength, let us forge our own organisation, let us break with reformism and its decadent trade unions, for it is only through the revolutionary path that mankind can ever be free. There is a dualism inside the unions, the official side and the Shop Stewards movement. The function of the official side is to try to curb and discipline its rival. Official channels will lead the worker nowhere, and will curb his instinct to fight. For a while I used to work with Brother Nesbit in a small toolroom in Lancashire. He was older than me (I'm 67 now). He introduced me to Tressell's "The Ragged Trousered Philanthropists". It was long after they closed Dalmuir ROF. My father worked at Maltby ROF. They closed that too. He had to keep his head low because of his earlier political activities. He was a fine engineer. I moved on and don't know what became of him. I am a labour historian form Turkey working on factory history. I would like to ask you a few questions about this text. Could you please send me an email from gorkemakgoz@yahoo.com or just write your email address here? Thanks very much in advance.